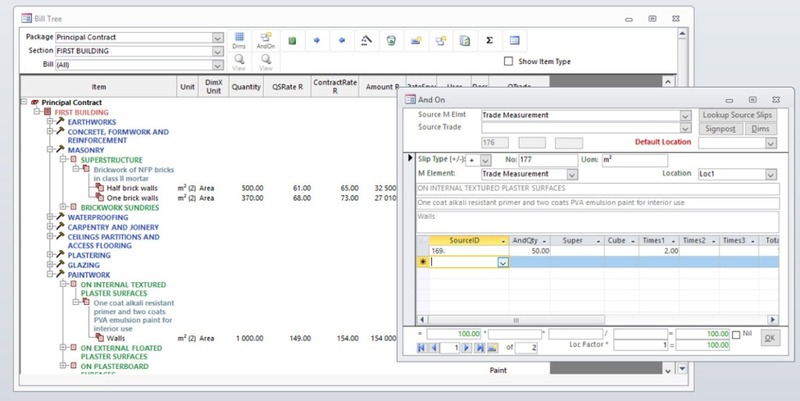 Prepare, measure, price and output comprehensive bills of quantities with ease. All standard take off functions are present in this module. An innovative “Measurement groups” feature allows the single measurement of multiple items associated with a central item. E.g. Door 1 together with its paint, hardware, lintels, wall and finish adjustments, etc. Each detail item is qualified by formulae driven by variables, which are applied to the single measurement. Any later change to the quantity will automatically update the linked item quantities. Detailed cross-reference back to the cost plan if the bills were generated from a measured cost plan. General project data parameters are included, such as “Project description”, “Client”, “Consultants”. etc. 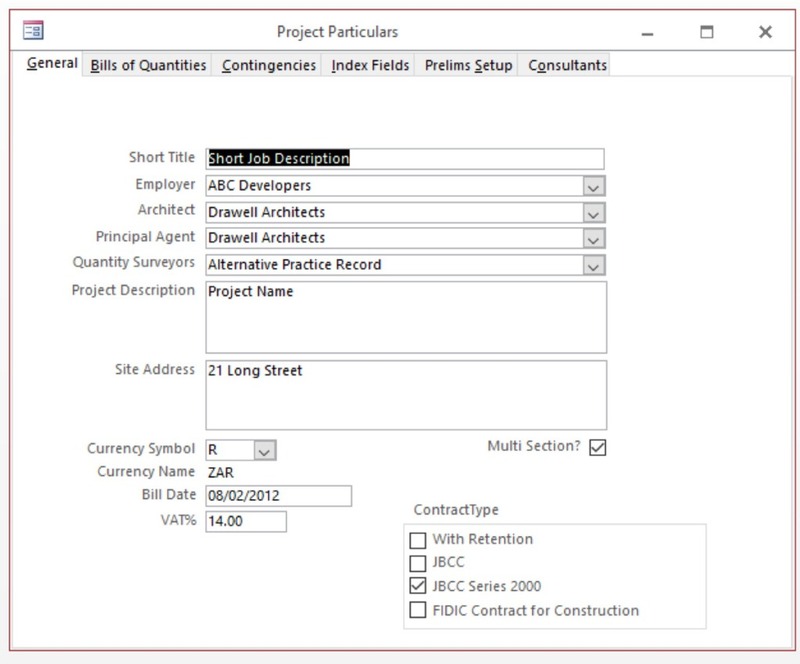 Setup of bills of quantities sections (“Blocks”) for multi-use building cost plans and locations within each building, for when more detail is required. Locations carry a multiplying factor which can be amended. 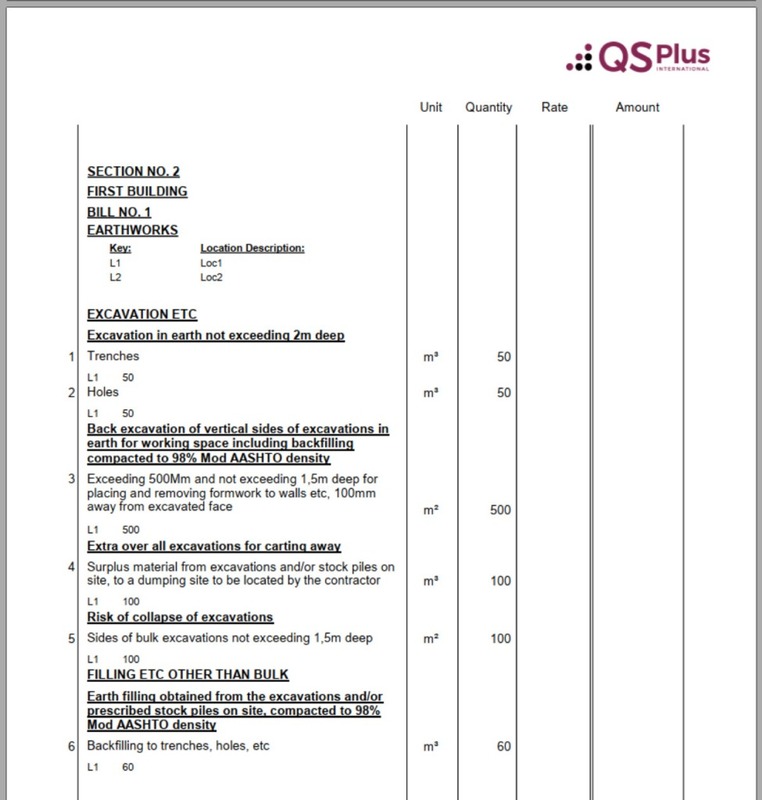 Abstract of bills of quantities. Import items from previous projects, with or without dimensions. Print the bills of quantities either blank for tender, priced with internal office rates or contract rated. 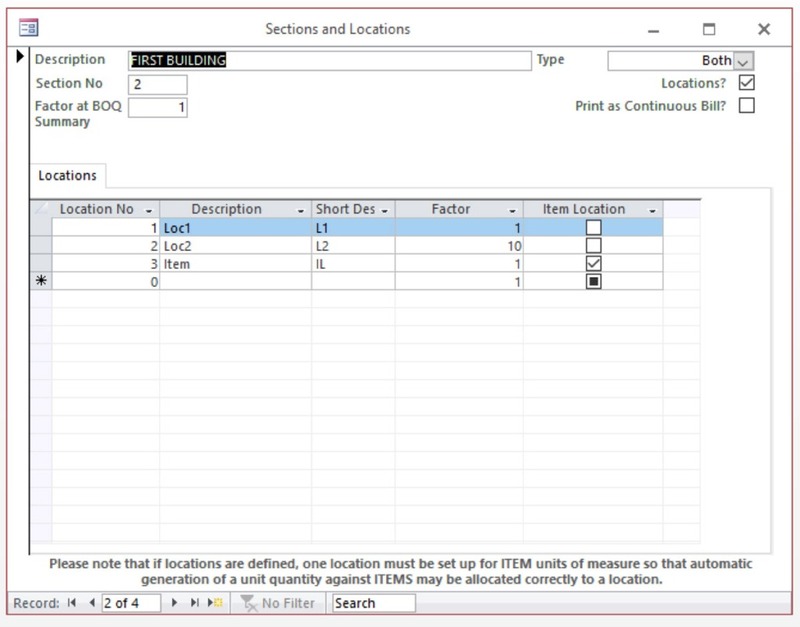 Optional printing of locational detail with a brief description of each location and the related quantity, against each bill item. Export bills of quantities to Candy or Excel and send to tendering contractors for pricing. Contract rates returned from Candy or Excel may be read back to update bills of quantities items without physical capture. Price the bills with either internal office (QS rates) or contract rates submitted by tendering contractors. 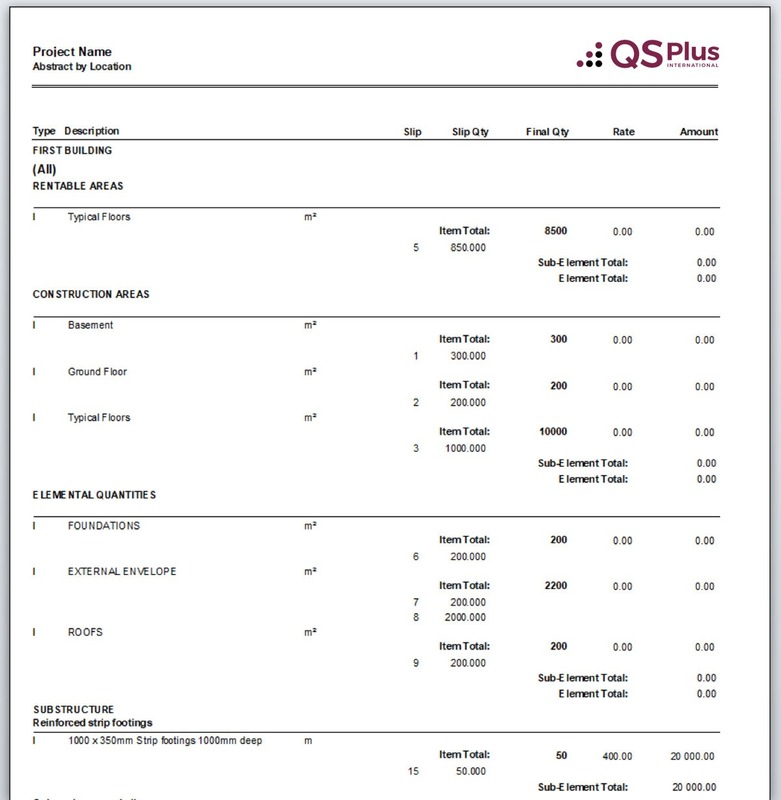 Tender analysis on rates from multiple contractor’s priced bills of quantities. 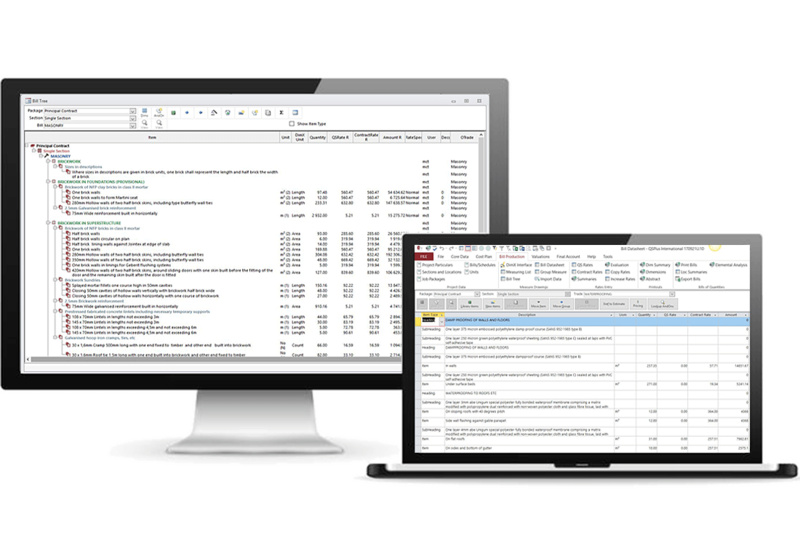 Summaries by Section, Trade, or Detail item of all rates and amounts in the bills. Rates in tender documents returned by way of Candy or Excel files are imported directly from Excel into your project. No more manual capturing of rates. Multiple sets of rates may be entered and a “Tender analysis” print out is available. 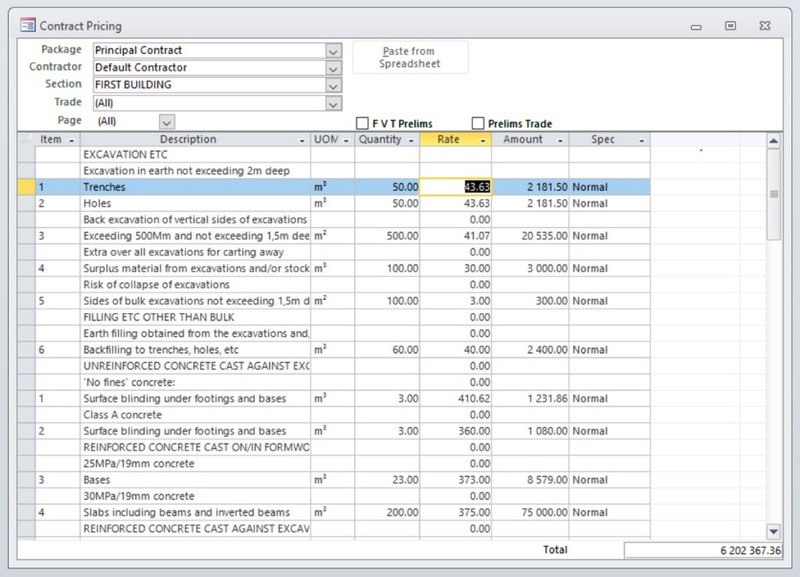 An elemental cost analysis of the bills of quantities can be produced using a window which allows you to check the element allocations against each bill item. The output includes elemental quantities and rates per element, per section or per project.